The Arab Nationalist Guard (Arabic: الحرس القومي العربي‎) is a secular volunteer militia force operating in Syria. The group espouses an Arab nationalist ideology, gathering away from any sectarian, ethnic, or religious extremism. 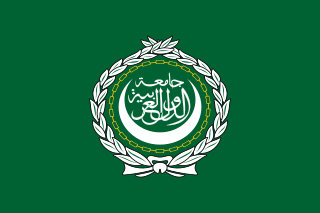 The Arab Nationalist Guard's membership includes nationalists from a variety of Arab countries, including Egypt, Algeria, Libya, Iraq, Lebanon, Palestine, Tunisia, Syria and Yemen. Some of their militiamen had fought previously in the Libyan Civil War and the Iraq War. Formed in April 2013 by pan-Arab volunteers to fight against "all Takfiri movements that aim to strike our unity and sow divisions between Arabs", the Arab Nationalist Guard bolstered the ranks of Bashar al-Assad's government amid the 2012–13 escalation of the Syrian Civil War. The group quickly started to closely cooperate with the Syrian National Defence Forces militia network, and organized itself into four battalions. From late 2013 to early 2014, the Arab Nationalist Guard primarily fought in Qalamoun, though was also present at other conflict zones in Damascus Governorate, Aleppo Governorate, Deraa Governorate, and Homs Governorate. The group’s ideology falls in line with Gamal Abdel Nasser's pan-Arab ideals (Nasserism), as well as with anti-Zionism and anti-colonialism. The Arab Nationalist Guard has its own manifesto, where it is stated that its units' names are inspired by Arab politicians and martyrs who have led secularist and Arab national movements in the Middle East and North Africa region or were killed by Islamists. ^ a b c d e f g h Cooper (2015), p. 59. ^ a b c Rana Harbi (5 May 2014). "Arab nationalists take up arms in the battle for Syria". Al-Akhbar. Retrieved 6 May 2014. ^ "Daryya Rebels Thwarted another Attempt to Storm the City". El-Dorar Al-Shamia. 26 July 2016. Archived from the original on 27 July 2016. ^ Andrew Illingworth (8 January 2018). "Syrian Army's order of battle for Harasta operation in east Damascus revealed". al-Masdar News. Retrieved 10 January 2018. ^ Jawad Al-Tamimi (1 January 2014). "The Arab National Guard: A Pro-Assad Militia". Aymennjawad.org. Retrieved 24 February 2014. ^ Moses, Brown. "The Arab Nationalist Guard: A Pro-Assad Militia". Brown Moses Blog. Retrieved 24 July 2014. Adib Bin Hassan Al-Shishakli was a Syrian military leader and President of Syria (1953–54). Jamal Al-Atassi (1922−2000) was a Syrian Arab nationalist, politician and author. He was one of the earliest ideologues of the nascent Syrian Ba'ath Party, which he joined soon after it was founded. He helped to lay out its constitution and was the man who came up with the party's motto, "One united Arab Nation with an eternal Message." He also served as chief editor of the party's daily newspaper, Al Baath. The Arab Cold War was a series of conflicts in the Arab world that occurred as part of the broader Cold War between, roughly, the Egyptian Revolution of 1952 that brought President Gamal Abdel Nasser to power there, and the period after his death in 1970. Afif al-Bizri was a Syrian career military officer who served as the chief of staff of the Syrian Army between 1957–1959. He was known for his communist sympathies, and for spearheading the union movement between Syria and Egypt in 1958. The Syrian Social Nationalist Party in Lebanon (SSNP), is a secular nationalist political party operating in Lebanon, a branch of pan-Syrian Social Nationalist Party. It advocates subsuming Lebanon into a Greater Syrian nation state spanning the Fertile Crescent. Jassem Alwan was a prominent colonel in the Syrian Army, particularly during the period of the United Arab Republic (UAR) (1958–1961) when he served as the Commander of the Qatana Base near Damascus. Alwan, a staunch supporter of UAR President Gamal Abdel Nasser, opposed Syria's secession from the union in 1961, leading two failed coup attempts to overthrow the secessionist government in 1962. The Brigade of Abu al-Fadl al-Abbas, also known as the al-Abbas Brigade, is a pro-government Twelver Shia Muslim militant group operating throughout Syria. It is named after the nickname of Al-Abbas ibn Ali, son of Imam Ali. The Ba'ath Brigades, also known as the Ba'ath Battalions, are a volunteer militia made up of Syrian Ba'ath Party members, almost entirely of Sunni Muslims from Syria and many Arab countries, loyal to the Syrian Government of Bashar al-Assad. It was set up in Aleppo under the command of Hilal Hilal, the current Assistant Regional Secretary, after rebels took most of the eastern half of Aleppo in summer 2012. Initially, the Ba'ath Brigades were used to guard government buildings and other key installations in the city, but their role has expanded as their strength has grown from 5,000 members in November 2012 to 7,000 in December 2013. Units have since also formed in Latakia and Tartus. At the end of 2013, the Brigades began deploying in Damascus, tasked with manning checkpoints and conducting "light logistical operations". They spearheaded the assault on the Old City of Aleppo in early 2014. Liwa Fatemiyoun, literally "Fatimid Banner", also known as Fatemiyoun Division, Fatemiyoun Brigade, or Hezbollah Afghanistan, is an Afghan Shia militia formed in 2014 to fight in Syria on the side of the government. It is funded, trained, and equipped by the Islamic Revolutionary Guard Corps (IRGC), and fights under the command of Iranian officers. However, the group has denied direct Iranian government involvement in its activities. By late 2017, the unit numbered between 10,000–20,000 fighters. According to Zohair Mojahed, a cultural official in the group, the group has suffered 2,000 killed and 8,000 wounded in combat in Syria since its establishment. The Conquering Lion of God Forces of Iraq and the Levant, more commonly known by its original name Liwa Assad Allah al-Ghalib fi al-Iraq wa al-Sham or simply LAAG, is a Shia Muslim militant group operating throughout Syria and Iraq. It is named after the nickname of Imam Ali. The Baqir Brigade, named after Shia Imam Muhammad al-Baqir, is a Syrian loyalist militia originating in the Aleppo Governorate that fights in the Syrian Civil War. One of the most prominent and largest pro-government militias from the Aleppo area and part of the "Local Defence Forces" network, the Baqir Brigade mostly consists of tribesmen from the al-Baggara tribe that has traditionally supported the rule of the al-Assad family despite being mostly Sunni Muslim. Though the militia's fighters thus come from a largely Sunni background, many of them appear to have converted to or are at least strongly influenced by Shia Islam. Indeed, the Baqir Brigade has been noted for its strong connections to the Lebanese Hezbollah, Iran, and various Iraqi Shia militias, and is thus generally considered to be a Shia or "Shi'ified" fighting force. Jaysh al-Mu'ammal, also known as Liwa al-Mu'ammal or as the Popular Mobilization Forces' 99th Brigade, is a Shia Islamist Iraqi private militia that is led by Sa'ad Sawar and has fought in the Syrian Civil War and Iraqi Civil War. Founded as splinter faction of the Sadrist Movement, Jaysh al-Mu'ammal is supported by Iran and former Iraqi Prime Minister Nouri al-Maliki.